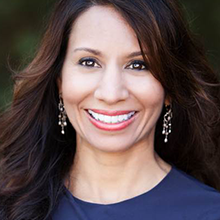 Dr. Taz Bhatia, MD, is a board-certified physician, specializing in pediatrics, integrative medicine, and prevention, with expertise in infant and child nutrition. She is the author of â€œWhat Doctors Eatâ€ and â€œThe 21-Day Belly Fix,â€ and the host of RadioMDâ€™s The Dr. Taz Show: The Super Woman’s Whole Health Fix podcast and of the popular You Tube series, Kitchen Cures. Dr. Taz is passionate about the profound connection and synergy between women and childrenâ€™s health and their ultimate impact on the health of the entire family. Her Atlanta-based pediatric center, CentreSpringMD+Pediatrics, is dedicated to providing the best pediatric integrative care. Dr. Taz assists in discovering the interplay of nutrition and neurotransmitters, and each childâ€™s biotype to develop a personalized plan to treat various pediatric health concerns such as food allergies, nutritional deficiencies, ADHD and weight management. Dr. Taz and her team rely on their knowledge from multiple systems of medicine, including integrative, functional, conventional and holistic medicine. As a passionate advocate for child health and nutrition, she is a committee member for UNICEFs Southeastern Speaker Committee, which exists to support UNICEFâ€™s mission â€“to protect childrenâ€™s rights and help meet their basic needs so they can reach their full potential.